BeritaDEKHO - The UAE’s space industry and Mars mission will spark scientific development and inspire a young generation to think positively and see a future filled with possibility, twin astronauts Scott and Mark Kelly said on Monday. According to Scott, astronaut and modern-day hero who spent a record-breaking year aboard the International Space Station between 2015 and 2016, the space industry helps us realise our dreams and solve our problems on Earth. He was speaking at the majlis of His Highness Shaikh Mohammad Bin Zayed Al Nahyan, Crown Prince of Abu Dhabi and Deputy Supreme Commander of the UAE Armed Forces. His twin brother Mark expressed the hope the UAE will team up with other countries to help it achieve its ambitious goals to explore space. 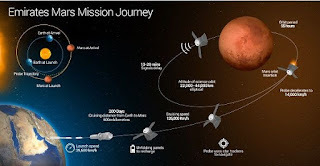 The UAE is currently preparing its first unmanned mission to Mars. 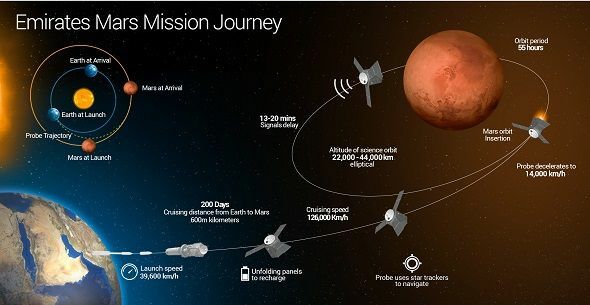 Due to launch by 2021 to coincide with the country’s 50th anniversary, the mission will put the UAE among a select few — including the US, Russia, India and the European Space Agency — to have sent a probe into orbit around the Red Planet. The UAE has also said it wants to create a colony on Mars by 2117. In September last year, it unveiled renderings for its Mars Science City project, a $136 million (Dh449.4 million) simulation centre designed to replicate a Martian base in the desert outside Dubai. The veteran of four space flights and the American record holder for consecutive days spent in space, Scott Kelly described navigating the extreme challenge of long-term space flight, both life-threatening and mundane: the devastating effects on the body; the isolation from everyone he loves and the comforts of Earth and the catastrophic risks of colliding with space junk. Kelly’s year-long space mission served as an experiment for Nasa. His twin brother, Mark Kelly, remained on earth during that year. The Twin Study propelled Nasa into the genomics era of space travel. It was a ground-breaking study comparing what happened to astronaut Scott Kelly in space, to his identical twin brother, Mark, who remained on Earth. The perfect nature versus nurture study was born. The study followed changes to Scott Kelly’s body after he spent nearly a year in space. His brother and identical twin Mark remained on Earth during that time and is the control subject for the study. The Kelly brothers said in a lecture titled “The Sky is not the Limit: Life Lessons from Nasa’s Kelly Brothers” that they are still identical twins; Scott’s DNA did not fundamentally change. What researchers did observe are changes in gene expression, which is how your body reacts to your environment. This likely is within the range for humans under stress, such as mountain climbing or scuba diving. The Kelly twins said the change related to only seven per cent of the gene expression that changed during space flight that had not returned to preflight levels after six months on Earth. The Kelly’s humanity, compassion, humour, and determination resonated throughout, as they recalled their rough-and-tumble New Jersey childhood and the youthful inspiration that sparked their astounding career, and as they made clear their belief that Mars will be the next, ultimately challenging, step in space flight.